Unique Moments Photography of Gig Harbor Washington will always capture pictures of the bridal dress , shoes and bridal attire details. Sometimes the locations let us get super creative with bridal dress pictures, and sometimes it limits us. 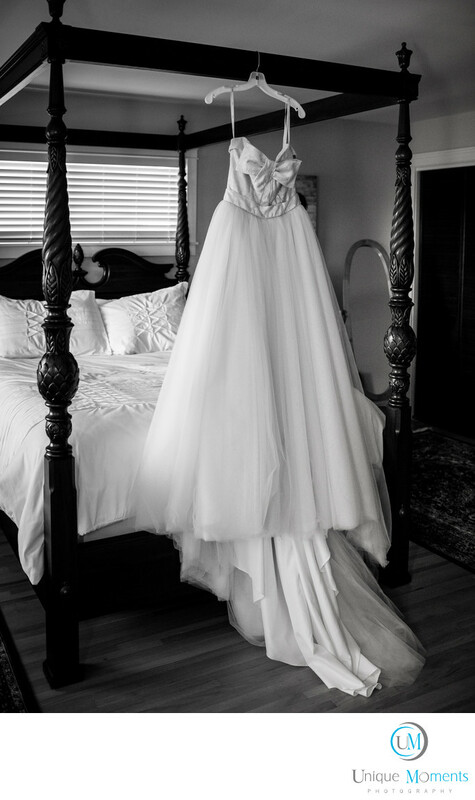 This image had a four post bed so naturally we used it as a prop for the bridal dress image. Windows seems to be very popular these days as well as doorways. There are just a ton of ways to capture the bridal dress pictures but location is always the factor.